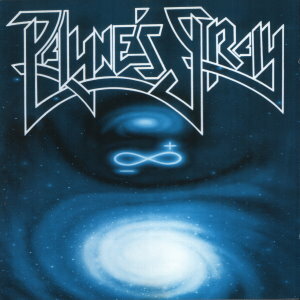 PAYNE'S GRAY was a progressive metal act based in Germany. 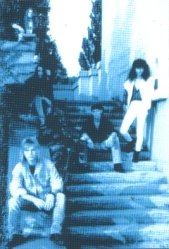 They started out in 1988, and in 1990 their first demo was issued, a cassette titled "Of Tyrants and Reflections". The line-up for this release is unknown; sources indicate that Pascal Heberling (guitar) was a member when this recording was released. One year later a new demo is issued, "Infinity". At this point the band consists of Jan Schröder (guitar, flute), Martin Mannhart (bass), Tomek Turek (keyboards), Axel Baudendistel (drums) and Hagen Schmidt (vocals). Fast forward 4 years, and the band's one and only full length album, "Kadath Decoded", is self-released by the band; a concept piece based on a novel by noted US horror writer H. P. Lovecraft. The line-up is mostly unchanged for this release; with the addition of Haluk Balikci (vocals) as the only change. In 1998 the last signs of life comes from this talented act, as they reissue the "Infinity" demo with an additional bonus track, The Peak, featuring new members Daniel Hermann (drums) and Rüdiger Blank (keyboards). Other members associated with this band in the decade or so they were active were Marco Müller (drums), Andreas Nolte (drums) and Christophe Zahnleiter (guitars). 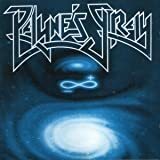 Infinity is a demo album from 1991 released by the German progressive metal act Payne´s Gray. I know Payne´s Gray from their debut album Kadath Decoded (1995) and because I caught them live opening for Psychotic Waltz in 1995. The debut album is a very original progressive metal album with lots of classical and jazzy influences and two male lead singers which is rather unusual in a progressive metal band ( I can´t recall hearing about this before or since). The music on Infinity is not as original as on the debut and even though this is a high quality demo. The music is rather generic progressive metal. Very melodic and with lots of keyboard from Tomek Turek. His keyboard work is really brilliant on Kadath Decoded and it´s pretty good here too. The vocals from Hagen Schmidt ( Lead singer number two Haluk Balikci had not yet been included in the lineup) are typical high pitched vocals and I have the same problems with the vocals on Infinity as I have on Kadath Decoded. As such Hagen Schmidt is a good vocalist but the vocal melodies are not very strong and he often comes out sounding rather weak. A bit of a shame really. The musicianship is excellent and as mentioned it´s especially keyboardist Tomek Turek who shines. The production is good for a demo recording. Clean. Payne´s Gray isn´t my favorite progressive metal band, but they definitely had that special thing that could have brought them far if they had continued making music. They folded after the tour with Psychotic Waltz as far as I´m told. Infinity is for the fans of the band and deserves a 2 star rating. Not bad but very mediocre. I would most definitely start with the very original and interesting Kadath Decoded instead. 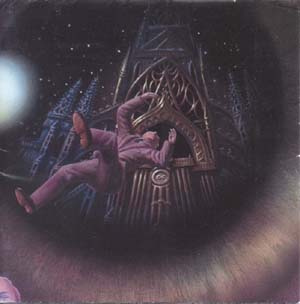 Payne´s Gray sole album Kadeth Decoded were released in 1995. I remember reading reviews of this album back then in metal magazines. The album was highly praised by most reviewers in 1995. If I had to review it in 1995 I would probably have given it more credit than I will in this review because back then this was a pretty groundbreaking release because of the two lead singers in the band. Much water has run under the bridge since then though and this is one of those albums that has suffered a bit of old age in the meantime. I actually caught Payne´s Gray live in 1996 supporting Psychotic Waltz on the Bleeding tour. They were a very good live band and it was in the live environment you really understood that they were a unique band. The two singers complimented each other and the stage presence of two singers just seemed very powerful ( Of course Psychotic Waltz blew them away, but that´s another story). Well the music on Kadeth Decoded is very keyboard and synth driven. The term metal should only be used loosely here as there are lots of songs on Kadeth Decoded without guitar and when guitars appear it´s mostly acoustic. There are some heavy guitar parts here and there though. The lyrics are based on H.P. Lovecraft´s infamous horror stories which is great for a Lovecraft fan like me. The music is pretty impressive technically and the compositions are very challenging. If you´re a keyboard freak you should definitely check out this album as keyboardist Tomek Turek is pretty fantastic and innovative. My problem here is unfortunately with the two lead singers who might have comlimented each other well in a live environment but falls flat on their face on this studio recording. There´s nothing wrong with their voices even though there is a slight german accent. They are high pitched metal singers so in that respect they don´t stand out from most progressive metal bands. It´s the melody lines and the way the harmony vocals are arranged that annoys me. 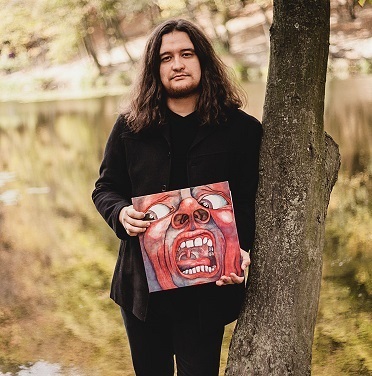 It´s probably an aquired taste but it ruins much of my listening pleasure that´s for sure. The musicianship is really good on the album and again I´ll mention Tomek Turek as the most shining light on this album. Classically trained I pressume. The production is a bit weak and allthough it doesn´t ruin the music it´s sometimes an unnesseccary distraction. Kadeth Decoded is a pretty unique album and had the singing been to my liking I would have rated it 4 stars. As it is I´ll only rate it 3 stars though. If you want to hear something unique and challenging and you´re not annoyed by the vocals like I am this will probably be a treat. 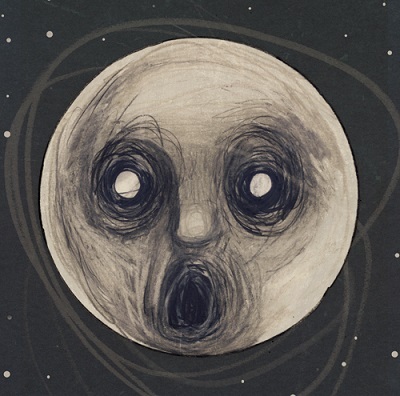 4.5 stars - a really interesting album. It's symphonic neo prog with a metal edge. Very melodic, and the metal aspect is reduced to a few riffs here and there which blend perfectly with the lush symphonic songs. The whole thing is very concept driven, it gets quite quirky and technical at times, but never too flashy. The only things that keep me from awarding 5 stars are a few recording glitches (background noise/sudden eq changes) and some small inaccuracies in the drumming - but I'm a bit touchy in that area, so it should be no problem for most people. Sadly the band broke up after recording this album, and it's nearly impossible to find in CD stores today (2006). Definitely a very valuable and rewarding part of any prog collection! Quite a remarkable exercise by this proposing German band. "Kadath" is a rare and unique piece of work that certainly takes off pretty intriguing and devouring that there's nothing the listener could do, but to get captured in between this dark, evoking music. Opening track "Dream Sequence" instrumentally reveals such an enigmatic passage to indescribable musical experimentations, so impregnated of mysticism, of sorrow and peacefulness that irradiates geniality. The three-way conversation held by this sober piano, a lingering flute and the background chords set, is absolutely a display of energy and passion, so imperceptible by the common ear, it secretly lightens a pathway to welcome the second intromission of this well elaborated album. "Sunset City" is quite a sequel to the first act previously shown, with another continuous piano interlude, this time seconded by a peculiar acoustic guitar that meddles somewhere in between the synthies and this unpretentious bass played quietly by Martin MANNHARDT. The acoustic guitar carries on spreading the pure essence of the ambiance created, where the percussions become more and more captivating, wrapped up in shades of strings and compassed chords. The vicious crunchy guitars aren't displayed until you get to "The Cavern of Flames", where Haluk BALIKCI sings impetuously the provocative story of chapter three contained on this album. The challenging, defining moments of this latter half of the nineties creation, start to reveal onward. It is practically inevitable not to notice the conceptualization this haunting piece of work proposes all along its twelve episodes. It certainly doesn't lack of initiative or argumentation, the instances to achieve uniqueness here are entitled by the individual execution of the instruments and the exploitation of the same. 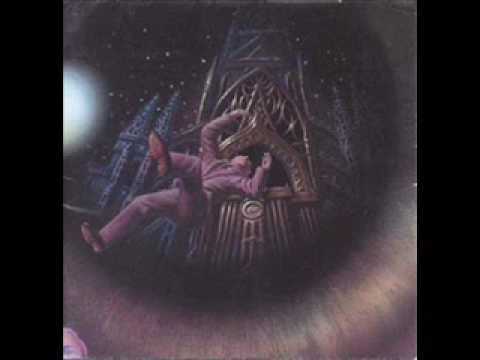 The piano and synthies taken away majestically by Tomas TUREK, the guitars and flute performing in charge of Jan SCHRÖDER and his creativeness and the additional features, obviate the mystery hidden on "Kadath". When taking on the rest of the track listing, you might as well would like to pay close attention to the versatility and innovation displayed on such pieces as "Within the Vault" (that describes an intrepid way of playing piano) and "Reaching Kadath" (a deep, purist track, which contains most of the explanation of why the album was conceived in such way from the get-go). The alternativeness showed among "Nyarlathoteps Reception" and "Finale: Sunset City part 2", is definitely unforgivable to lose. The perception of oneself becomes thicker throughout the entireness of this album, according on getting yet another dosage of PAYNE'S GRAY right back from the beginning. Part two of the productions released by the Germanic musicians, accomplishes quite great its mere intention and initial purpose. It's practically impossible not to relate this specific work to what's already been done by some other German progressive metal bands like SIEGES EVEN or SUPERIOR, since there's a thin line called "relativity" that unites them by the insides. In spite of the comparisons and the appealing characteristics, "Kadath" remains intact before the eyes of introspection and surprising. Deservedly, the four starts sustaining the "excellent addition to any prog collection" variation. This album is for sure a masterpiece! The Album's concepts is based on H.P. Lovecraft's "The Dream Quest of Unknown Kadath". 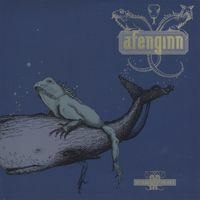 All progmetal fans should look around how to get this album into their collections. Music is very melodic and sounds haunted. All musicians are doing great work. You should get the great epic track "Moonlight water's" which is linked above, to get a picture of how the band play. This is truly unique album, with give the way different look on prog metal music. There is a sad news. The band no longer exist, maybe in future they wolud come together again and give us more briliant music. Even if not, they left one of the best albums ever made. This is one of my desert island albums.